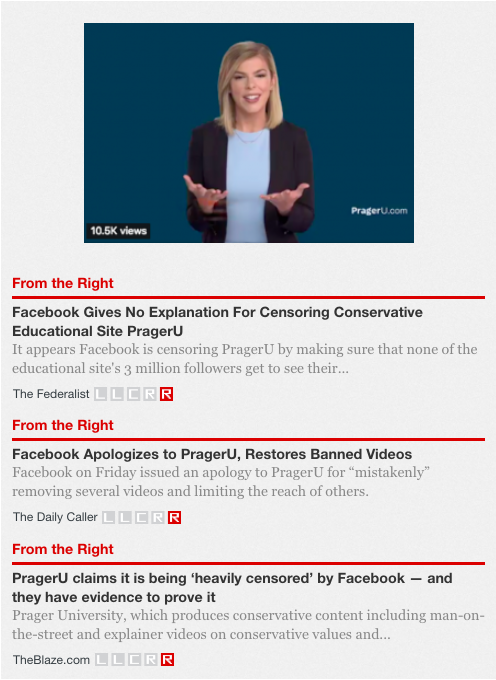 AllSides rates PragerU as a Right media bias, and only Right-leaning outlets covered the story of PragerU being censored — including The Federalist, The Daily Caller, and The Blaze. 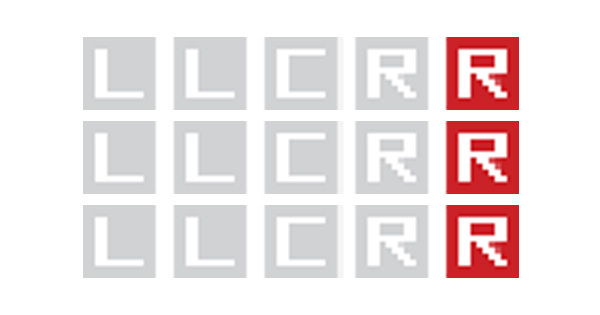 We believe it is important to feature stories that are only being covered by one side because it can show discrepancies in what the Left and Right find newsworthy or important. It may also shed light on stories the Left or Right may not want you to see for political purposes. (Past examples: Benghazi stories were mostly ignored by the Left, while some climate change stories have been mostly ignored by the Right). In addition, AllSides gives prominence to stories based on one or more of the issues we emphasize in the AllSides Editorial Philosophy. Our philosophy includes giving voice to perspectives that are often ignored, giving extra attention to news with contrasting coverage, and highlighting stories on polarization, free speech and media bias — all categories that the PragerU story falls into. The PragerU/Facebook story is an example of a news item that was very heavily covered by one side of the spectrum, but ignored by the other. It is also a news item that pertains to more than one of our key philosophical topics. This is why we chose to feature it as a headline roundup. View the PragerU/Facebook headline roundup, and don't forget to "Like" AllSides on Facebook.